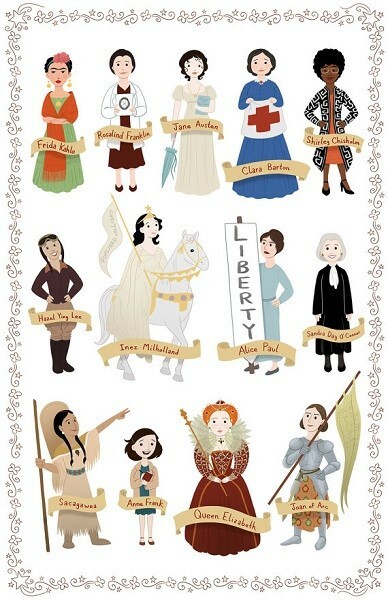 Catherine and Sarah Satrun of the Satrun Twins' Art Shop pay tribute to the women of history with this colorful poster! 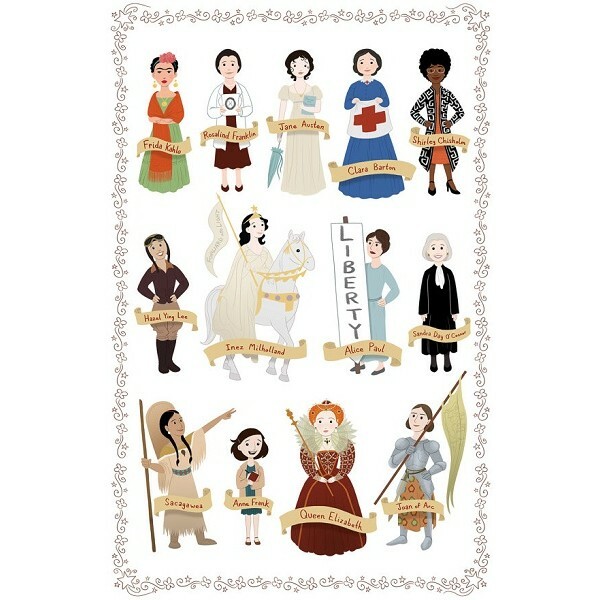 This 11 by 17 inch poster features 13 women: Frida Kahlo, Rosalind Franklin, Jane Austen, Clara Barton, Shirley Chisholm, Hazel Ying Lee, Inez Milholland, Alice Paul, Sandra Day O'Connor, Sacagawea, Anne Frank, Queen Elizabeth, and Joan of Arc. This high quality print on glossy paper comes signed by the artists. 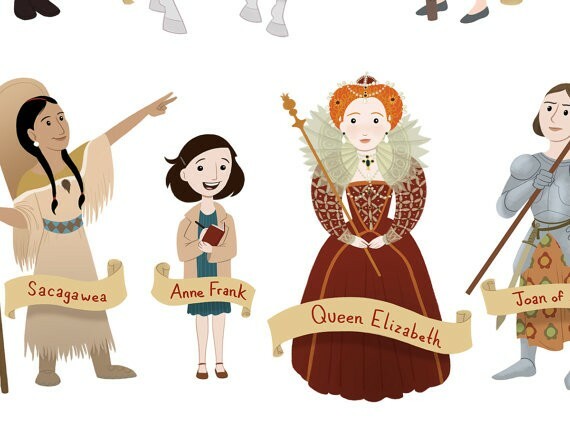 For more wall art to inspire your Mighty Girl, visit our Art / Decor Collection.